Easy Brownies baked in doughnut forms and then transformed into Brownie Ice Cream Sandwiches! The kid LOVE these for after school treats! I love a good ice cream sandwich! They are awesomely portable, delicious, and fun to eat. 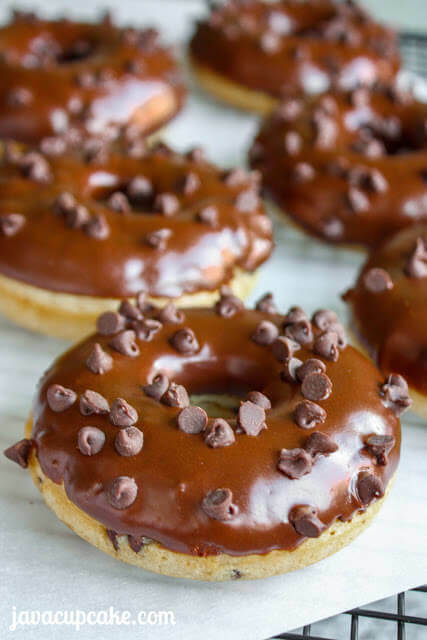 I had some left over brownie batter and thought I’d play with some brownie donuts, but when they were done baking they weren’t quite what I wanted. 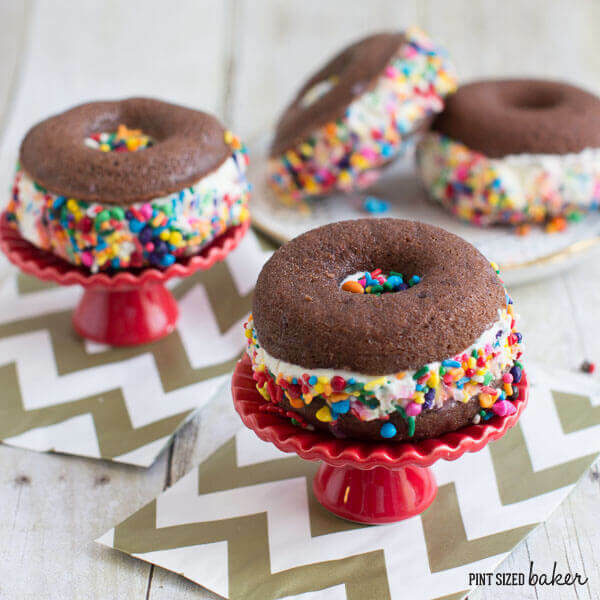 I looked at those sad brownie donuts and almost tossed them in the trash… but then lightening struck and I was hit by an awesome idea – Brownie Ice Cream Sandwiches! Eureka! These fun sandwiches were born and life was good again! I had a lot of fun making these with my kid. She got in on the action with her own creation. She didn’t want ice cream in the center of her sandwich so she opted for frosting and ton of candy sprinkles instead! They last quite a while in the fridge and they are so big you’ll have no issues sharing one. They are perfect for a date night in! Let your ice cream soften for 10 minutes. 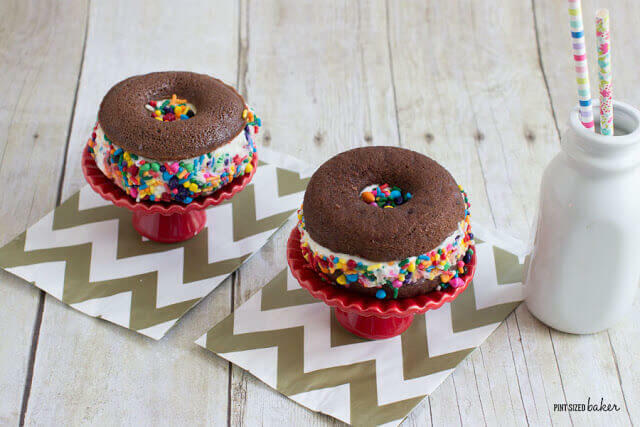 Line a small baking dish with plastic wrap and scoop out the ice cream in to the pan. Press the ice cream into a flat square and cover with the plastic wrap. Freeze for 4 hours to harden. 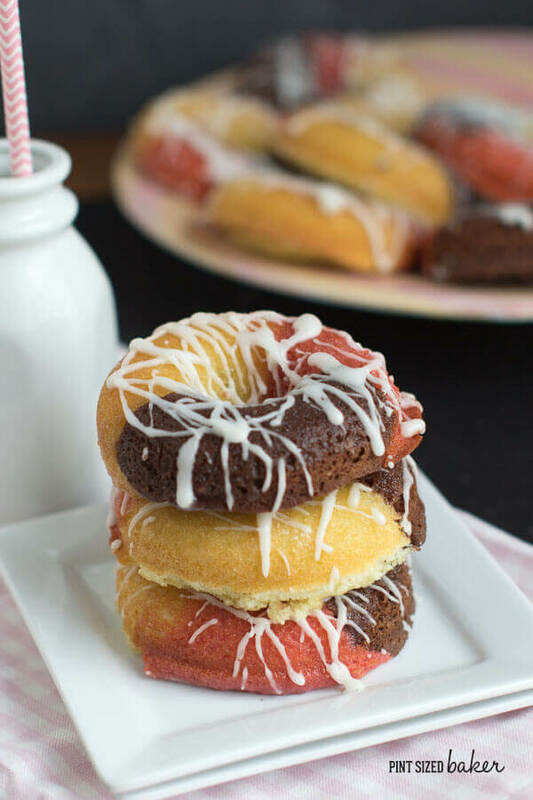 Bake your brownies in a large donut pan for 15 – 20 minutes. Flip them out of the pan to cool completely. 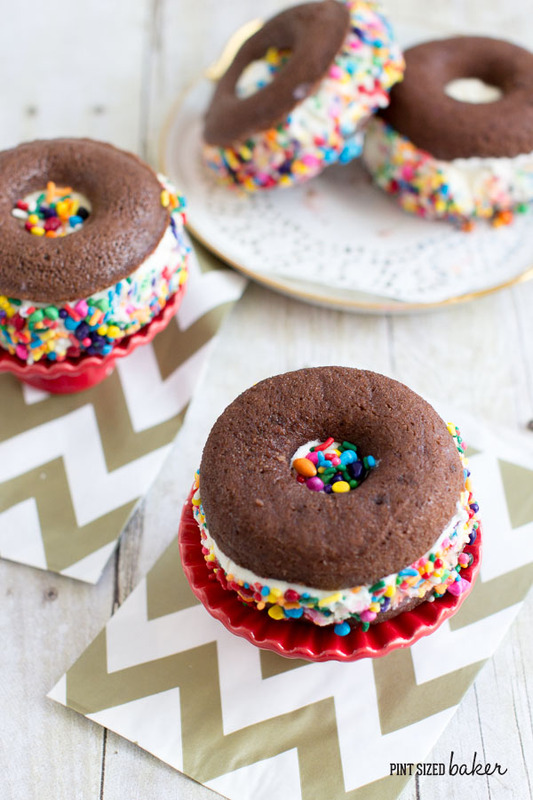 Remove the ice cream from the freezer and use a 2.5″ round biscuit cutter to cut ice cream circles out. 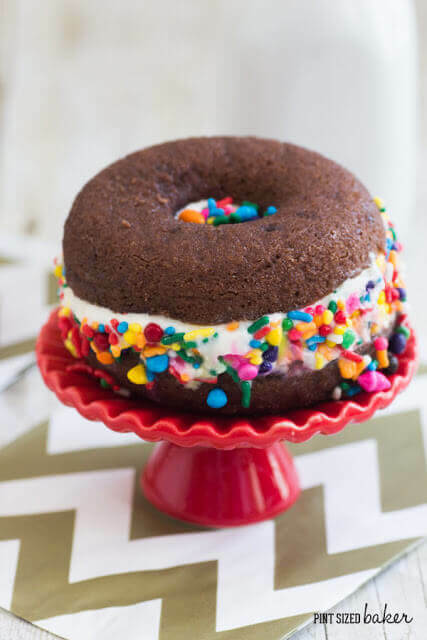 Place the ice cream on top of the donut and create a sandwich. 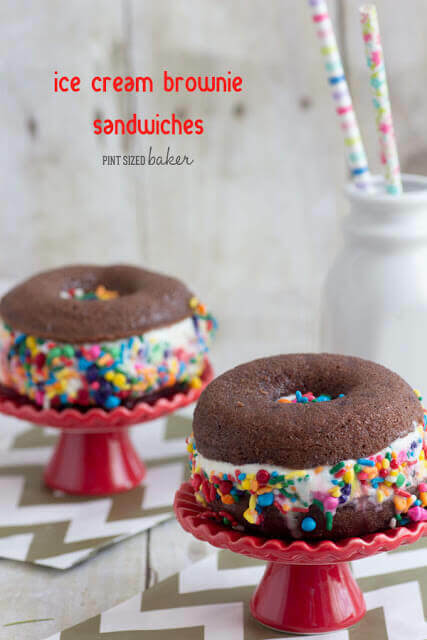 Pour out some sprinkles into a plate and press the edges of the sandwich into the sprinkles. Wrap the sandwiches in wax paper then in foil and freeze until ready to serve. Unwrap the goodness and enjoy! 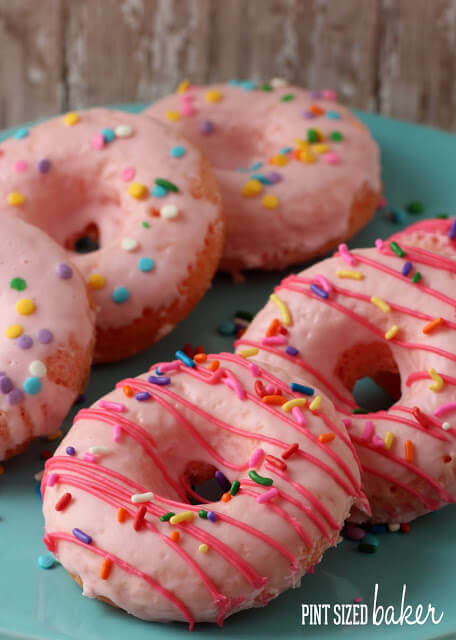 For more fun donut treats, check out these.